ProcessEquipmentLocator.com is the place that brings sellers and buyers together cutting out the middleman for systems, machinery and parts from well known or hard to find brand name manufacturers. Our centralized database includes, but is not limited to, entries for new and used systems, equipment and machinery parts for Food, Organic, Farming, Chemical, Pharmaceutical, Wood/Paper and Mining Industries. If your company is looking to save money, expand current systems, repair older systems, or maybe looking for a greener way of processing, look to us for buying or selling your processing equipment. New equipment corporate dealers and individual private sellers are welcome. Our goal is simple: We want to cut out all the bull crap in the industry and get you to the right people the first time. We do this by leading you to the best and brightest complete system manufacturers in the market, depending on what you are looking to do. Often times these contacts we have acquired over the last 30 years are smaller companies that offer the BEST service, great machinery, honest work, and most importantly great prices. 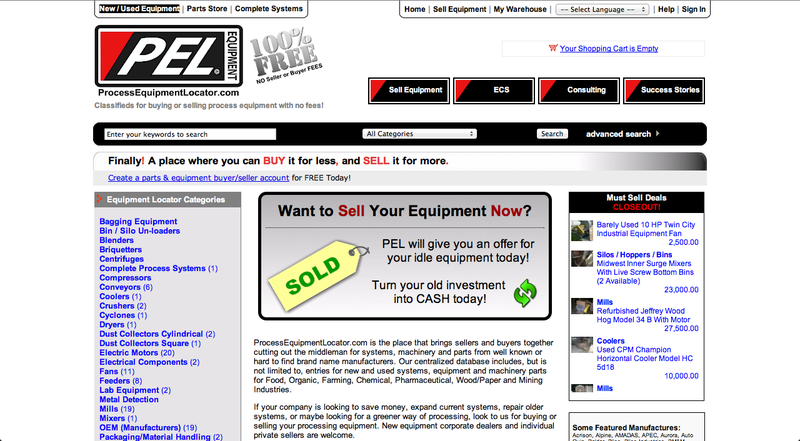 Just by contacting PEL for free, we can eliminate the hassle of working with a bad company looking to pad their bottom line. In the worst case scenario, you get another person competing for your work. 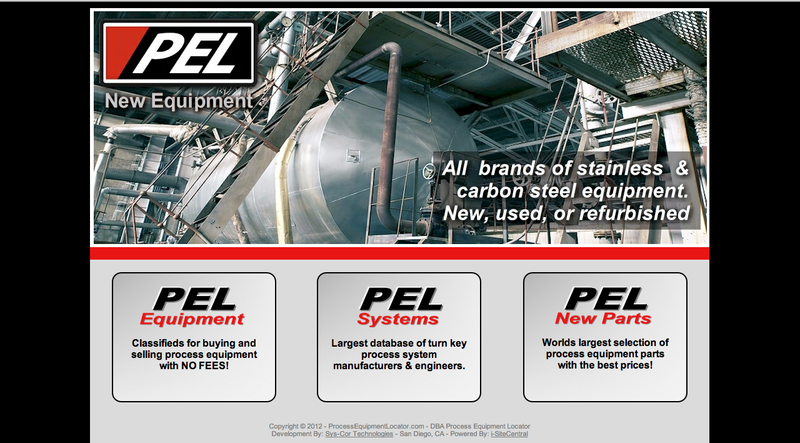 Custom Grinding & Blending: PEL offers connections to companies that can custom grind, blend, pellet, mix, coat, and much more. 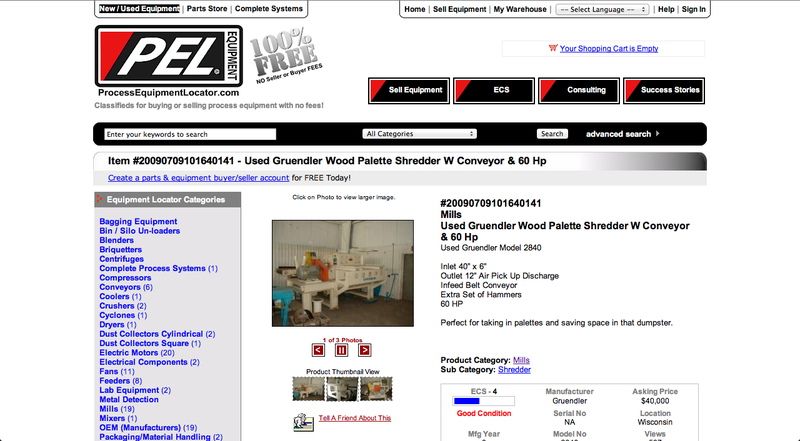 Custom grinding is offered in the middle of the United Sates for easy shipping and receiving. Our experienced custom processing companies can eliminate the burden of up front machinery costs and maintenance/production fees. Consulting: If you are looking for help with your systems or trouble shooting, we also offer over the phone, or in person consulting across the United States. Process systems consulting often times will consist of a fee, but if a system is purchased through our consultant the fee is waived. 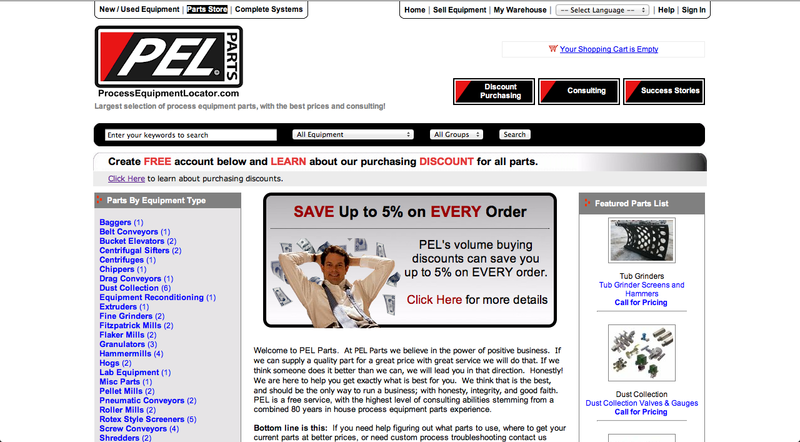 Welcome to PEL Parts. 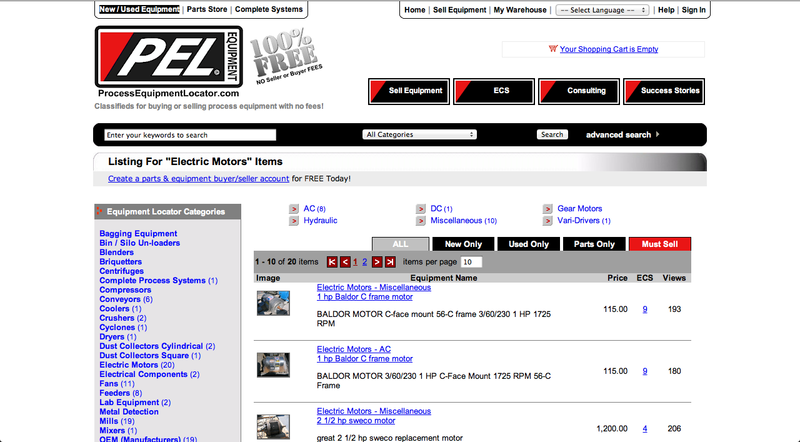 At PEL Parts we believe in the power of positive business. If we can supply a quality part for a great price with great service we will do that. If we think someone does it better than we can, we will lead you in that direction. Honestly! We are here to help you get exactly what is best for you. We think that is the best, and should be the only way to run a business; with honesty, integrity, and good faith. 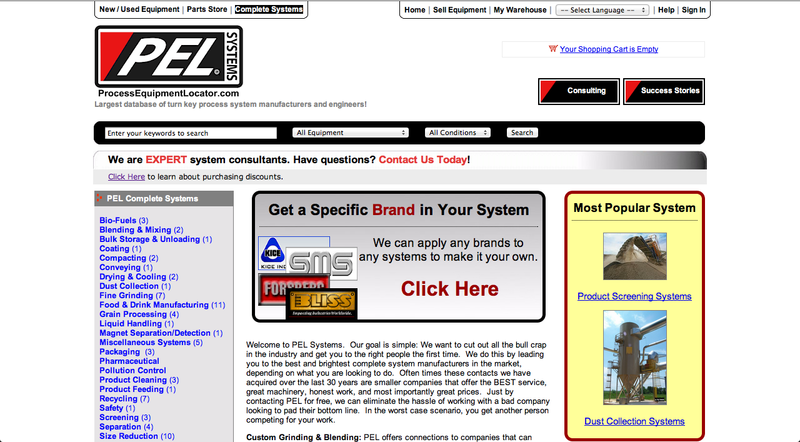 PEL is a free service, with the highest level of consulting abilities stemming from a combined 80 years in house process equipment parts experience. Bottom line is this: If you need help figuring out what parts to use, where to get your current parts at better prices, or need custom process troubleshooting contact us today! If we don’t have an answer right away, we will find it for you.